What Turkey’s role is in the current geopolitical situation, how its relationship is developing with the European Union and the West, and what his position is after the Arabic Spring and the rise of the ISIS is certainly a very hot and interesting issue. Unfortunately this is not our area of expertise. In today’s IPintz article we analyse three court decisions that brought Turkish IP law closer to the western approach. In the first case, the Turkish Constitutional Court annulled a very controversial provision of Decree No 556. on Protection of Trademarks. Article 16 of the decree regulates the method and necessary elements of a trademark application. Article 16/5 proclaimed that applications must include not only the owner’s earlier identical trademarks, but also his similar ones. The reason for that is the principle of uniqueness that prohibits similar trademarks with similar list of goods/services to be owned by different trademark owners even if the trademark is licensed. So in case of a trademark assignment, the Turkish Patent Institute (TPI) would examine whether the owner’s whole portfolio was transferred. If not, the authority would declare the assignment invalid. In its procedure, the Ankara 3rd court requested the Constitutional Court (Anayasa Mahkemesi) to declare the above mentioned provision invalid. The judges accepted the court’s reasoning in its entirety and declared the provision invalid. The provisions were annulled on two legal bases. First, the Constitutional Court declared that TPI already had the authority to reject trademark applications that were confusingly similar with earlier trademarks. However, the fact that TPI could reject applications based on a very formal reason (the owner did not file the similar applications at the same time) would result in exceeding its constitutional authority. Second, the restriction of property rights, namely that only the whole trademark portfolio could be transferred can be valid only if it is declared in a legislative act, not in a council decree. In the second case the Constitutional Court declared that similarity to a well-known trademark cannot be an absolute ground for refusal. The request for annulling the provision was initiated by an IP court. It referred to the Paris Convention and the TRIPS Agreement. According to international regulations, the fact that a trademark is well-known is not sufficient to reject a subsequent designation per se. The Constitutional Court declared that the owner of a well-known trademark can file an opposition based on relative grounds and it is in accordance with the principles of free market and the freedom of contract and property. In an IP Court’s decision the controversy between the European Patent Convention and the Turkish Patent Decree has been eased at least for the time being. As it is known after grant of the EPO a European Patent validation procedure must be completed in the countries where exclusivity and patent rights are sought. 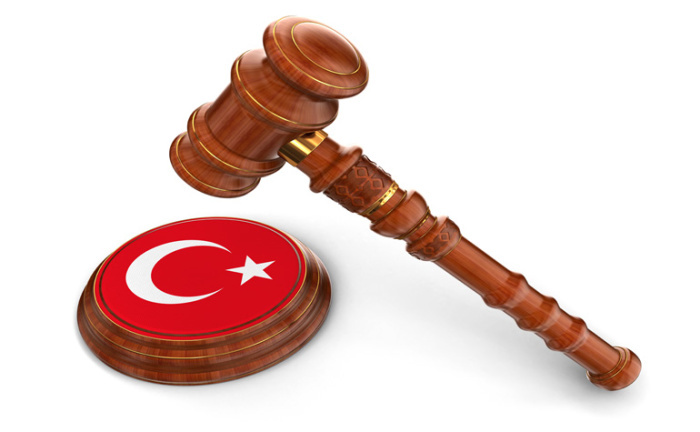 The former practice of Turkish courts were to annul a validated European Patent even if the final decision was not rendered yet by the EPO and without giving the patent owner the chance to restrict his claims according to EPC Article 138. Article 64 of the Turkish patent decree however prohibits amending or modifying the claims after grant. The court directly referred to EPC in accordance with Turkish constitutional principles providing that in such conflicts international regulations prevail. We do not know yet whether this is a beginning of a new trend or the courts will uphold their practice to suspend the proceedings.